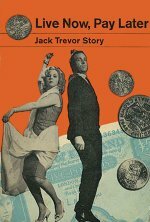 A remarkably cynical and revealing portrait of Britain shifting from postwar austerity into rampant consumerism and the Swinging Sixties. Ian Hendry plays a seedy, on-the-make, door-to-door salesman who pressurises his customers - usually housewives - into bed and into hock. He runs around the council estates in a van filled with rubbish, has an illegitimate child and is himself deeply in debt. Hendry's character Albert is appalling, yet he is also sympathetic since he's the only character who ever does anything in a society built on inertia and the sense of defeat that only wartime victory can bring. The title song might almost be the national anthem.